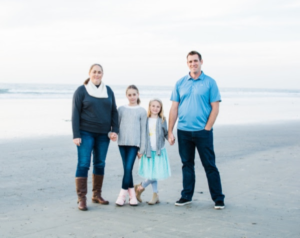 Jason Mills has been a part of FCA since April of 2007 and became the area director overseeing other staff in San Diego North County Inland in 2012. 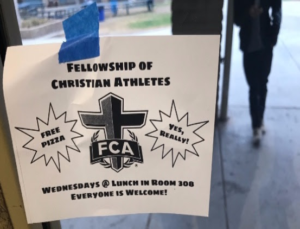 FCA achieves God’s will by using sports as a platform to share the Gospel with our community through a wide variety of activities including: on-campus Bible studies, camps, clinic, coaches’ Bible studies, and leadership training. “Sports” also includes the band, choir, theater, etc. Jason is an active part of our local high schools and middle schools that have Fellowship of Christian Athlete clubs that are student led. These clubs typically meet weekly at the high school to play games, have Bible lessons, do community service and seek to grow in their faith together. Did you know a PLC youth member first founded the club at Westview and that club continues to be led and attended by many PLC youth at all schools? In addition to the clubs, Jason is part of a yearly camp at UCLA that hosts 1000 athletes who play 22 different sports. Coaches from all over donate their time to coach in order to talk about Christ. Recently 50 students attended the UCLA camp from our area and 20 gave their lives to the Lord. Jason Mills also helped put together sports leagues in Escondido and hosted all practices at Emmanuel Faith Church. He saw families come back to the church as every week at practice there was a family game and a Bible study for all the players and parents. Click the link for more information about FCA.